One of the running topics of conversation amongst our friends group in Manchester is U2. Some hate, some love, without such differences of opinion music would be the sort of bland nonsense that Cowell and his ilk want to push upon us. In the spirit of democracy and free speech, we asked U2 superfan Jason Wynne to give us his views on their new album Songs Of Experience. In 2014 U2 kindly gave away their album “Songs Of Innocence” to over half a billion people. Okay, let’s rephrase that. U2 had the audacity to impose themselves uninvited onto the phones of over half a billion people. What did the people do? They moaned….and they moaned. They still do. Fast forward 3 years and we have the follow up album “Songs Of Experience”. Many will slate it without even giving it a play. This is where people may miss out as it’s the most personal U2 record I think I’ve ever heard – no ego or pomp just honesty and vulnerability from a band determined to go down fighting. There’s no denying it – U2 are like marmite. You either love them or you hate them. Opinion will be divided on the release of their 14th studio album. U2 fans will be delighted with what they hear, non-U2 fans not so as they’ve returned to the basics. The start of a U2 album is always associated with a great intro and with LOVE IS ALL WE HAVE LEFT we are not disappointed. Switching between a Zooropa style opening and the tremor of the strings before Bono, sounding fragile in both voice and mind (like we’ve never heard before), opens up with “Nothing will stop this being the best day ever”….probably because he thought he’d never see the day again as he begins to question his own mortality. Mid-song, as he reverts to a vocoder, he warbles “This is no time not to be alive” before returning to the emotion charged vocal proclaiming “Love Is All We Have Left”. Is this U2’s final swansong? “Shouldn’t be here as I should be dead” claims Bono at the start of LIGHTS OF HOME. Possibly referring to a recent potential health scare that has half made its way into the media or maybe it was the bicycle accident that threatened to end his limited guitar playing career? There’s lots of “hey-heying” on this one as Edge’s chiming guitar solo come to the fore. Adam’s bass ambles along nicely and Larry’s drumming (freer than ever) add meat to the song. American pop rock trio Haim contribute to the chorus and manage to get a co-credit for their trouble. YOU’RE THE BEST THING ABOUT ME is next up. Released earlier in the year but hardly to critical acclaim it’s one of many references to Bono’s wife Ali. Comparisons with Coldplay abound but there’s the unmistakable U2 riff, chiming guitars, heavy bass and stomping drums. “Shooting off my mouth is another great thing about me” quips Bono. GET OUT OF YOUR OWN WAY gets the Jacknife Lee treatment. Similar to You’re The Best Thing About Me with trademark old style U2 sound. Lots of “hey heying” on this one. Bono’s defiance as he tackles American problems “Don’t take it lying down you got to bite back, The face of Liberty’s starting to crack, She had a plan up until she got smacked in the mouth, And it all went South”. The song ends/morphs into the next track (American Soul) with a Kendrick Lamar rap which, admittedly, doesn’t do much for the song. AMERICAN SOUL is probably the weakest song on the album with bits of Volcano (off the Songs Of Innocence album) dismantled and restructured into this tune. It is an anti-Trump anthem though so it’s not all bad. As the title suggests SUMMER OF LOVE is a carefree groovy number almost sounding like it’s been shot in one take of an impromptu jamming session. The band sound in unison and completely at ease with each other. 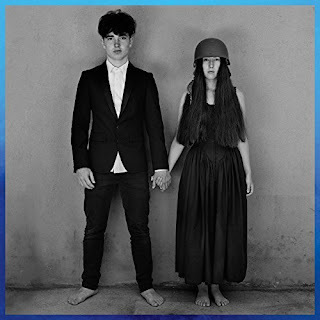 Heavily sounding like “The Three Sunrises”, from the 1985 EP “Wide Awake In America”, it sounds fresh and full of hope as Bono reminisces on days/years gone by. He chirps “I’ve been thinking about the West coast but not the one that everyone knows”. Ireland maybe rather than the U.S. of A? Personally I think RED FLAG DAY is the best song on the album and reminds me of War-era U2. From the white flag waving days of War to now and the Red Flag Day that arrived when the media exposed us to the iconic photographs of a child washed up on the shore as the refugee crisis reached levels that nobody thought possible. “Not even news today, So many lost in the sea last night, One word that the sea can’t say, Is no, no, no” strains Bono’s vocal. On a lighter, humourous note THE SHOWMAN (A LITTLE MORE BETTER) sees Bono poking fun at himself and the music industry itself. “Singers cry about everything” he says and follows up with “The Showman gives you front row to his heart.” It’s an acoustic driven upbeat song with catchy riffs and sure to be a live favourite. I think the confidence of the showman has taken a battering over the last few years (the iPhone debacle, bicycle accident, backlash from the media) and this is an attempt at showing a less pompous, egotistical side to the Irish frontman. LANDLADY is Bono’s love letter to long suffering wife Ali. She has stuck by him while he has been on his one man (annoying) crusade to change the world. Without her you guess he would have fallen apart a long time ago. “Landlady shows me the stars out there, I’m weightless, weightless when she is there”. I can hear shades of Verve’s Weeping Willow in the final chorus. THE BLACKOUT is U2’s Achtung Baby and Pop moment on the album. Its Zoo Station / Discotheque style intro with heavy cranked up guitar, intricate bass and precision drumming give Bono the licence to unleash his disdain on the world. “Statues fall, democracy is flat on its back”. Bono’s worldly advice to his children comes in the form of LOVE IS BIGGER THAN ANYTHING IN ITS WAY. Lots of traditional ‘whoa-whoas‘ in this and reminds me of the Killers trying to be U2. The lighters, or is it mobile phones these days?, will be out in abundance for the mass swaying and singalong for this one on the forthcoming arena tour that will hit our shores next year. The thirteenth track is aptly called 13 (THERE IS A LIGHT). It’s essentially Songs Of Innocence’s “Song for Someone” Part 2. Bono, again, facing the big mortality question – “When all you’ve left is leaving, when all you got is grieving”. As the song fades out we hear those final words…”There is a light…don’t let it go out”. It’s hard to ignore U2 – even though the imminent release of this album has almost gone unnoticed due to lack of media publicity which the Irish rockers usually adopt. It’s evident from this album that the U2 light still shines though not as bright as once before. Where there’s light there’s hope. It flickers away, hanging on to its existence. …but for how long? The music itself isn’t any better merely because this time around the band actually cares; all the industrious fervor amounts to meager flailing. It’s one thing to fail when you’re phoning it in: You leave hope that you could pull it off if only you tried. It’s quite another to fail when you’re giving it everything.